Who said social media was easy? I did, it was my opening line at a recent MENTA training event, the fact I find it easy and have enjoyed using the various platforms for years, does not alter the fact that many find social media a pain in the boot. Business is different, I argue, who doesn't want a potential marketplace filled with thousands and thousands of potential new leads. Why wouldn't you want to capitalize on a free marketing tool? I suspect many are put of by the lingo, often attached to social media, the impression that it requires more time than your business will allow and of course some feel a little left behind by this explosion of content and information. When talking with a room of people or in a one -to-one situation, my approach to social media, remains very simplistic. If good communication is fundamentally about engagement, Look to the proven record of the BBC and (Inform, Educate and Entertain) why would you treat social media differently, help feed the hungry internet with content that gives something of worth to the user. Don't use social media as your soapbox, it's not all about you! Being sociable across the various platform is the key, shouting about you and solely your business sales message will bore the pants off most and defeat the purpose of the platform. Content is king, said a very wise person, (anyone know who that was) how to then create content that will resonate as well as build awareness and leads, is an area of knowledge, I now enjoy sharing. 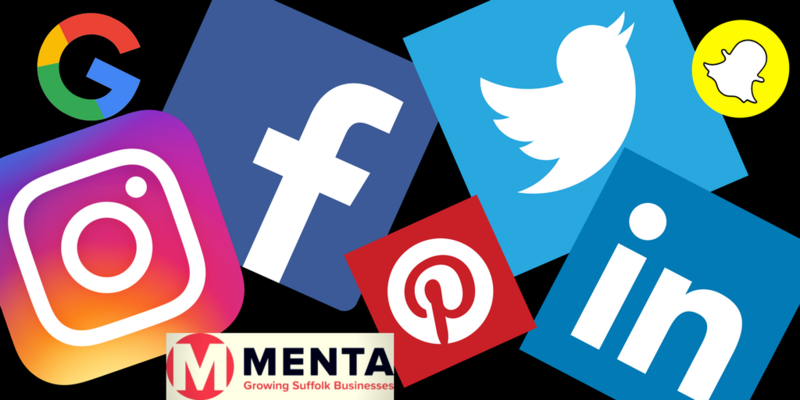 If you are aware that your business needs to up its game with social media, why not come to a course at MENTA or I can come to you and we can bespoke a course for your business and team's needs. Social Media works in connecting businesses with customers, It can be highly rewarding for business and even enjoyed! Please email me E: Nick@menta.org.uk and let's help you enjoy the free marketing tool. Nick Pandolfi works with clients across the UK and advises on content as well as social media strategy.